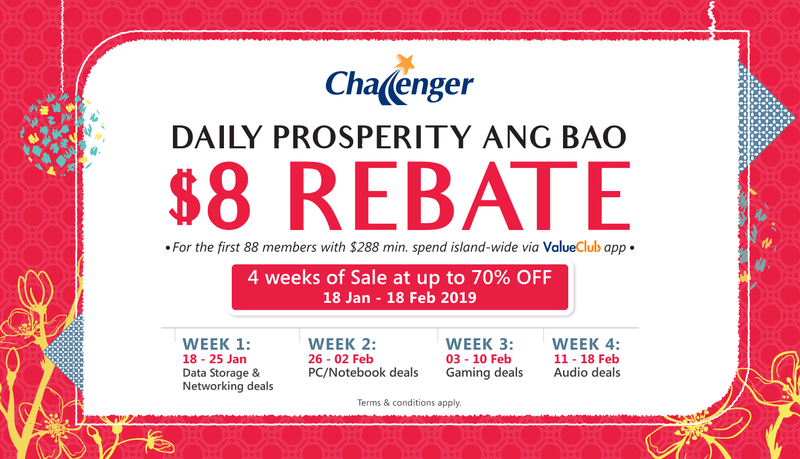 Receive an exclusive $8 angbao rebate with minimum $288 nett spend storewide. Limited to first 88 members per day. Available from now till 18 Feb 20019. Other T&C apply. Check in-store for more information. Challenger is located at East Wing, #02-721.